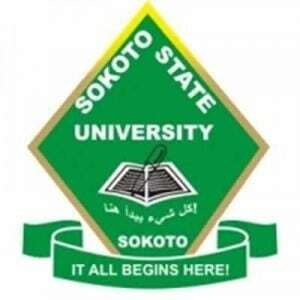 The Sokoto State University First and Second Batch Admission List for 2018/2019 academic session has been released and published on the school portal for checking. All the candidates who participated in the SSU Post UTME screening test can now check their admission status. This is to inform the general public that the school management of Sokoto State University (SSU) has released its FIRST and SECOND BATCH Admission List of admitted candidates for the 2018/2019 academic session. According to the management, admitted candidates were selected based on their successful performance in the 2018 Unified Tertiary Matriculation Examination (UTME) and SSU Post-UTME Screening. Candidates can their admission status online via the school’s portal. For the steps outlined below to check the SSU 1st and 2nd batch admission list. Step 3: Click on “Check Admission” button to view your admission status. Candidates whose names appeared on the school website, are to also advised to check JAMB CAPS to accept their admission and print their Admission Letter. Admitted candidates are advised to proceed to the University Registration Venue (Twin Lecture Theater at the University Main campus) for registration. All inquiries should be directed to Academic Secretary, info@.ssu.edu.ng.